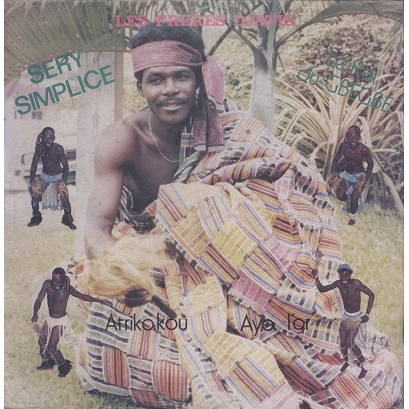 Ivory Coast artist from the Béthé region, Séry Simplice, the self-titled king of the 'Gbé-Gbé' dance tried to resist the irresistible 'Ziglibithy' style made famous by Ernesto Djedje. Solid VG sleeve has seam wear and back cover is quite dirty but front looks nice. Clean record has superficial marks but plays nicely.